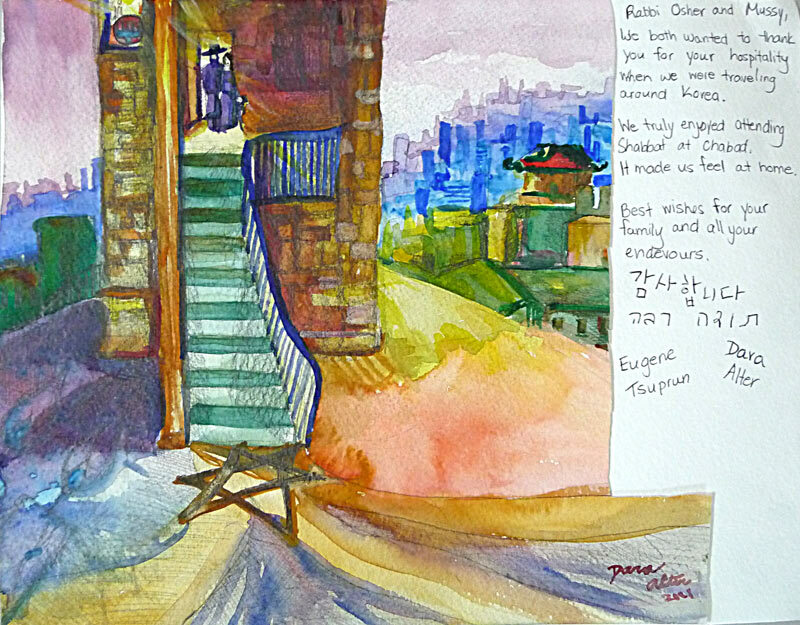 Chabad of Korea is dedicated to providing every Jew regardless of background, philosophy or level of commitment, an open door environment for strengthening and enhancing Jewish family life. Chabad serves individuals and families looking for an anchor and non-judgmental, accepting, personalized Jewish experience. We cannot do this alone. We count on support from people know for their benevolence, sincerity and sensitivity to the needs of all mankind. 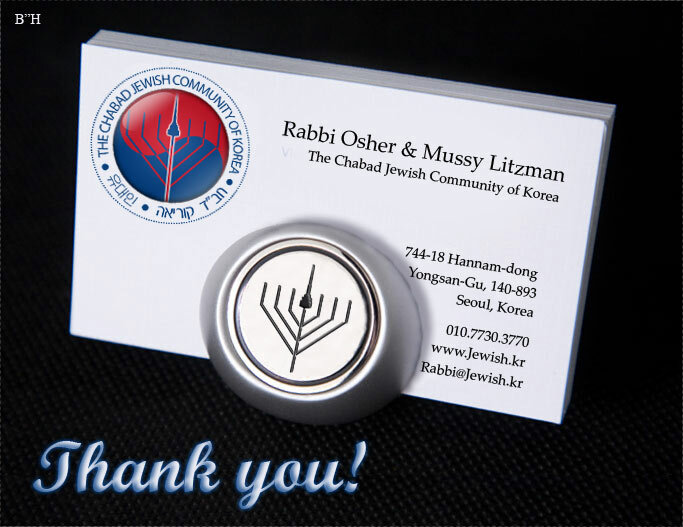 All donations made by check to "Jewish Community of Korea" are tax deductible. Jewish Community of Korea is a 501(c)3 not-for-profit corporation.